As Dean of Academic Affairs and Associate Professor of Old Testament, Dr. Faro will lead faculty, course scheduling, degree programs, and the library. She also will implement Northern’s strategic plan for academic programs. While at TEDS Dr. Faro cultivated many skills that will serve her well at Northern. In particular, she worked with a team to revise the M.Div., academic MAs and MA/TS. She was Affiliate Professor at TEDS and Assistant Professor of Old Testament at Scandinavian School of Theology in Uppsala, Sweden. Ordained as a minister by the Fellowship of Christian Assemblies, she’s been an interim pastor and a director of women’s ministries. 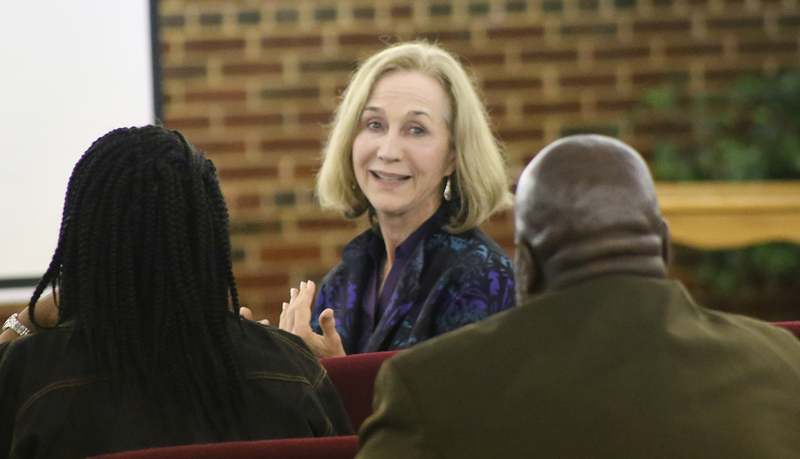 Dr. Faro says her goal as dean is to “continue building a vibrant community of learners devoted to Christ, dedicated to prayer and Scripture, led by the Spirit.” Her priority is “leading with love, humility, and boldness” so the gospel can have maximum impact on the world.